Young smiling cheerful woman holding her resume. Photo courtesy of Shutterstock. Think about it; recruiters and hiring managers must see hundreds of CVs each and every month. So how do you ensure your humble sheet or two of A4 finds its way into the right hands the next time you send or email it to a prospective boss? The fact is, there’s no hard and fast answer; it’s true that different recruiters with different managerial styles are bound to like…well…different things. But there are still some steps you can take to ensure you’ve got the best shot possible at being called in for an interview. Business man writing service concept. Photo courtesy of Shutterstock. Is Your Entry Level Job Search Ready for a Test Run? In order for a potential employer to buy into you as a candidate for an entry level job, you must show them what you have to offer. Find out how in the following post. If you are searching for an entry level job on LinkedIn, the following post has 10 ways that will help you gain the attention of recruiters. Testimonials can influence people to buy something from an advertisement, but could also be an effective tool when writing your resume for an entry level job. 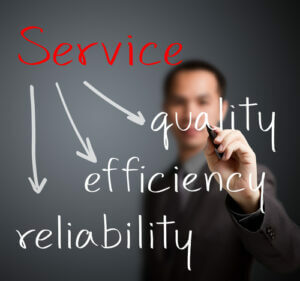 Learn how, and ways to gather testimonials in the following post. 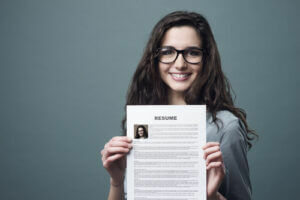 If you’re writing resumes for entry level jobs without much success, then the following post includes five tips that could help you improve your results. Oftentimes, internship hopefuls are a bit surprised to learn that much of the job seeking process mirrors that of seasoned professionals. You are responsible for locating great internship opportunities, writing resumes and cover letters, and sitting through interviews on your own. 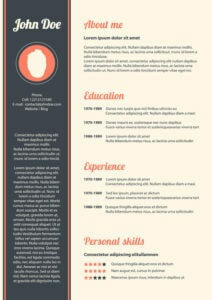 Does Your LinkedIn Profile Serve As A Good Resume Supplement? A job search can easily move at a fast pace; so fast, in fact, that we don’t consider the importance of the steps we take in the process. This can be true of searching for jobs, writing resumes and cover letters, and even choosing the companies to which we submit.